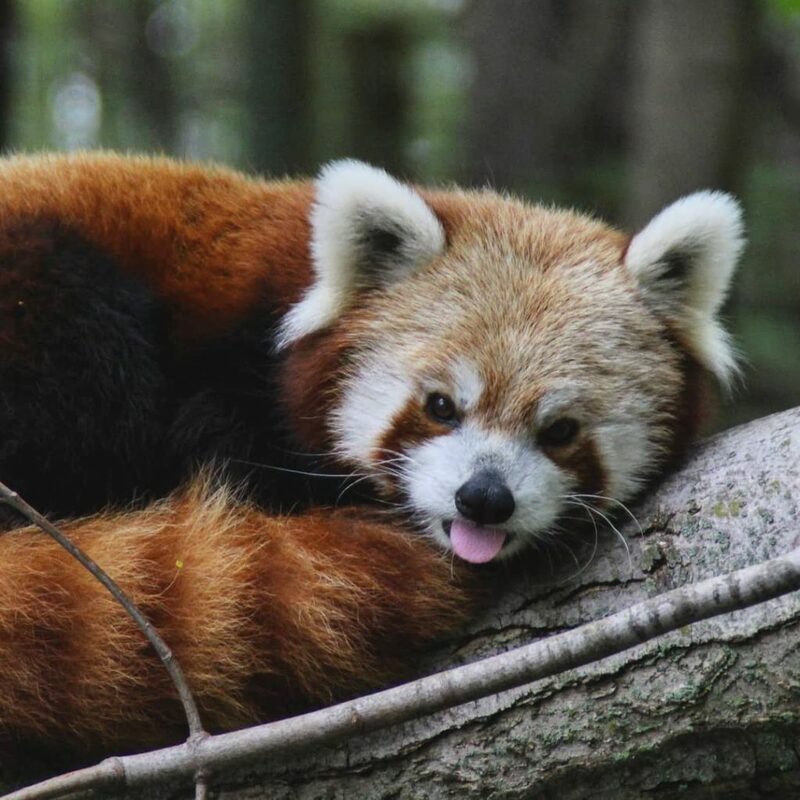 We put the “zoo” in KZoo with four awesome places to see animals in Kalamazoo, Michigan. Kids and adults will love exploring the different types of wildlife in the area. Just remember to be respectful of the animals and their environment while you are having fun! Here’s a list of places to see animals in Kalamazoo. This must-visit outdoor and indoor experience will connect you to the natural world. The Kalamazoo Nature Center lets you enjoy miles of trails through woods, wetlands, and praries. While you walk around the trails, listen for owls, songbirds, woodpeckers, and more. Keep your eyes open for wildflowers, deer, turkey, butterflies, insects, turtles and other creatures! There is also a year-long, three-story tropical rainforest inside the Nature Center. This is a great place for a winter excursion to see beautiful greenery! In the spring, enjoy the butterfly and hummingbird garden – which is filled with plantings and flowers that feed and provide shelter for the delicate creatures. Everyone (and every animal) can find something to enjoy and discover at the Kalamazoo Nature Center! Get ready, because you have never experienced anything quite like the Critchlow Alligator Sanctuary! This hidden gem is home to hundreds of rescued reptiles… including alligators! The Critchlow Alligator Sanctuary is committed to providing a comfortable home for monstrous creatures like alligators, lizards, and snakes so you won’t find any animals bought sold or traded. You can also have hands on experiences with some of the (less dangerous) animals and can witness alligator training demonstrations at the Gator High Amphitheater. You will see everything from 30-year-old alligators to tiny gator babies to lizards, giant toads, river fish, tree frogs, African tortoises, and more! A trip to Critchlow will be one to remember forever! The Kellogg Bird Sanctuary is open years round, and offers walkable trails surrounding the Wintergreen Lake. You will see amazing native birds such as waterfowl, gamebirds, raptors, and more. There is so much beauty to experience here, and it’s a great place for nature photography. You can also buy buckets of corn for $1 to feed the animals! Escape to Africa…in Kalamazoo! Binder Park Zoo offers unique up-and-close experiences with exotic animals. You can feed giraffes at the Twiga Deck, get face-to-face with lions (through a glass wall), and attend Animal Play Days and Training Days where you can see demonstrations from the zoo keepers and your favorite animals! Throughout the zoo you will find amphibians, birds, invertebrates, mammals, and reptiles. You may see lions, tortoises, dingoes, wallabies, monkeys, red pandas, cheetahs, leopards, zebras, sloth, kangaroos, giraffes, and more. This is a great place for families of all ages to explore the beautiful creatures from Africa! See some of the native creatures of Kalamazoo or take your four-legged travel partner to one of the many dog parks in Kalamazoo. Here’s a list of dog parks in Kalamazoo. Share your Kalamazoo-zoo photos by using #DiscoverKalamazoo on Facebook, Twitter, and Instagram! In the meantime, order a free copy of our visitors guide to start planning your trip to Kalamazoo, Michigan.